The D-20 amplifier offers greater output power than the D-10. Its modern Class AB bipolar design delivering the cleanest sound available coupled with ultra-high standards of reliability. 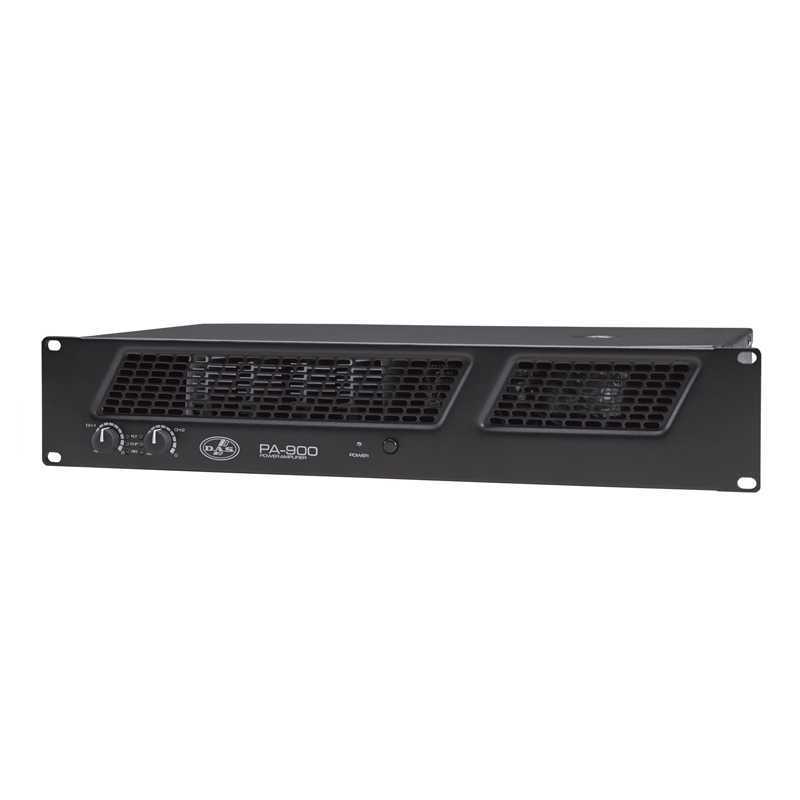 The IA Series IA-1004 offers 250 W per channel at four ohms. The amplifiers offer operation in bridge mode or powering 70/100 V lines. The rear panel incorporates switches for activating an 80 Hz high-pass filter, stereo or line/bridge modes and selection between 70 or 100 V lines. The IA Series IA-1002 offers 500 W per channel at four ohms. The amplifiers offer operation in bridge mode or powering 70/100 V lines. The rear panel incorporates switches for activating an 80 Hz high-pass filter, stereo or line/bridge modes and selection between 70 or 100 V lines. The IA Series IA-404 offers 100 W per channel at four ohms. The amplifiers offer operation in bridge mode or powering 70/100 V lines. The rear panel incorporates switches for activating a 80 Hz high-pass filter, stereo or line/bridge modes and selection between 70 or 100 V lines. The DX-80I are DSP processing amplifiers that offer the same power outputs as the DX-80. DX-80I accepts analog, AES3 digital and optional Dante networked audio. It can connect to any source and make it available over the network, as well as processing four additional channels with local analog outputs to connect to non-DSP DX Series amplifiers. The IA Series IA-402 offers 200 W per channel at four ohms. The amplifiers offer operation in bridge mode or powering 70/100 V lines. 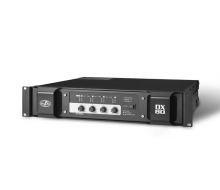 The DX-80 is a four channel amplifier offering 2000 W per channel at 4 ohms. It combines the impressive audio power and performance with ultra-flexible connectivity for both remote control and audio. 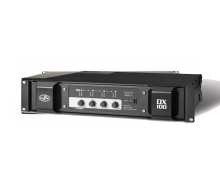 The DX-100I are DSP processing amplifiers that offer the same power outputs as the DX-100. 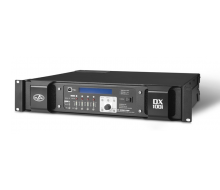 The DX-100I accepts analog, AES3 digital and optional Dante networked audio. 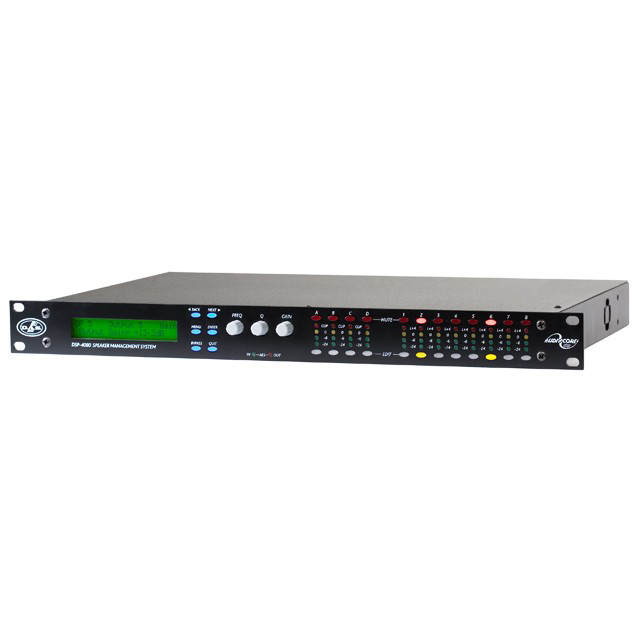 The DX-100I can connect to any source and make it available over the network, as well as processing four additional channels with local analogue outputs to connect to non-DSP DX Series amplifiers. 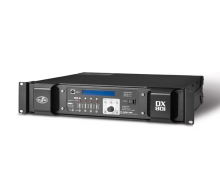 The DX-100 is a four channel amplifier offering 2800 W per channel at 4 ohms. It combines the impressive audio power and performance with ultra-flexible connectivity for both remote control and audio. The PA 1500 stereo amplifier is for both installed or mobile sound reinforcement applications. The amplifiers incorporate a rugged 2 unit all-steel chassis ensuring structural rigidity. The low-noise fans offer both quiet and cool operation. The amplifier incorporates rear located switches which permit, operational mode selection (bridge, stereo or parallel) and input sensitivity selection. The KA24 is a 4 channel per 500W on 4 Ohm and the KA84 is a 4 channel per 2000W on 4 Ohm audio power amplifier and processing solution. The KA24 is a 4 channel per 500W on 4 Ohm and the KA84 is a 4 channel per 2000W on 4 Ohm with 4 fully independent and configurable channels. The KA14 is a versatile amplifier, easily adaptable for small applications that do not require a lot of power, complete with a mixer, processor and amplifier. The PA 4000 stereo amplifier is for both installed or mobile sound reinforcement applications. 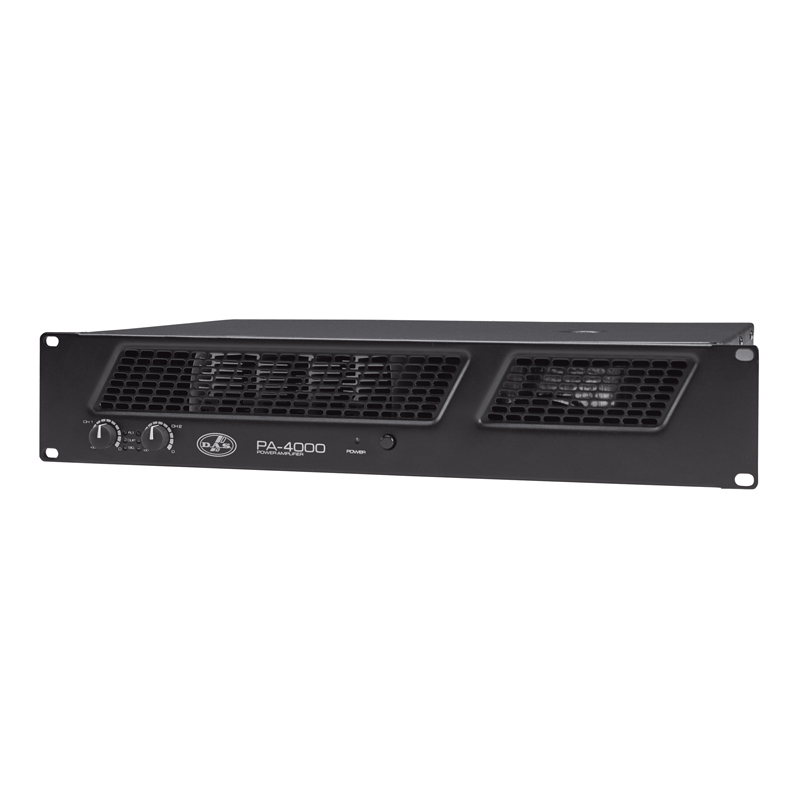 The amplifiers incorporate a rugged 2 unit all-steel chassis ensuring structural rigidity. The low-noise fans offer both quiet and cool operation. The amplifier incorporates rear located switches which permit, operational mode selection (bridge, stereo or parallel) and input sensitivity selection. The PA 900 stereo amplifier is for both installed or mobile sound reinforcement applications. The amplifiers incorporate a rugged 2 unit all-steel chassis ensuring structural rigidity. The low-noise fans offer both quiet and cool operation. The amplifier incorporates rear located switches which permit, operational mode selection (bridge, stereo or parallel) and input sensitivity selection. The D-100 is a lightweight, high-power switch mode amplifier designed to the highest standards of reliability and sound quality. The DSP 2040 is a powerful DSP based audio processor, ideally suited for install and live applications. The PS-800 is a stereo amplifier which incorporates a rugged 2 unit all-steel chassis ensuring structural rigidity and protecting components. The D.A.S. DSP-226 is a loudspeaker system management processor which uses digital signal processing in order to accomplish the functions of crossover, equalizer, limiter, and delay unit. The DSP-4080 is a powerful DSP based audio processor, ideally suited for install and live applications, where it combines the functions of a multitude of conventional products in a compact unit. 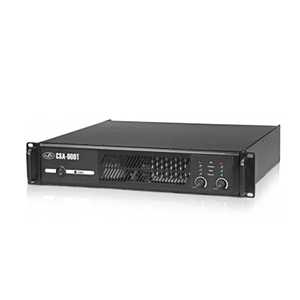 The CSA-600T is a stereo amplifier offering 300 W per channel. The DSP-2060A is a powerful DSP based audio processor, ideally suited for install and live applications.